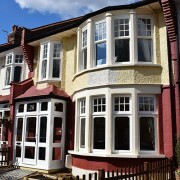 Enfield Windows recently installed new sash windows and a front door to a property in the Brent area of north London. 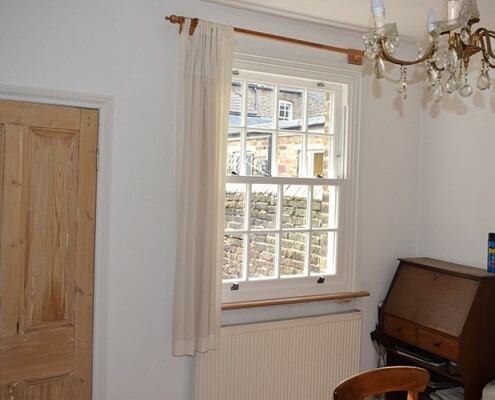 The client, who resides abroad and is renting out the property, decided to look into changing the original draughty timber sash windows that were in much need of replacing. After receiving higher quotations than anticipated from the larger less personable national companies they began another online search client and came across our website. After browsing through our recent blogs page and our reviews, she decided to call for a free no obligation quotation. An appointment was made to visit the address and take the necessary dimensions to provide a quote based on the exact requirements. 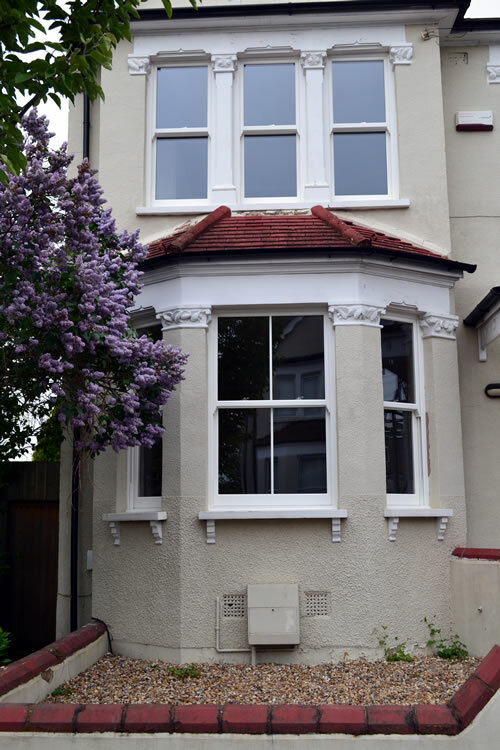 One of the client’s main concerns was to keep the original appearance of the property, using a high-quality uPVC sash window. 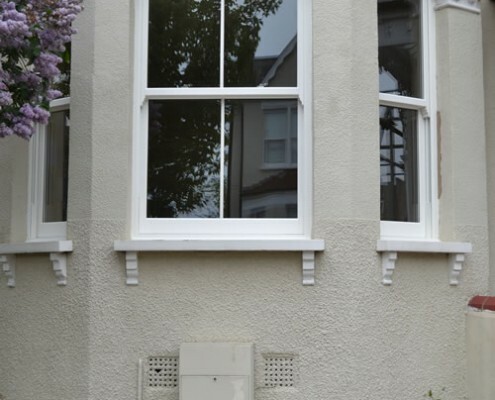 Our Ultimate range offers atheistic details other uPVC sash windows cannot; all the joins are mechanically formed, whereas typical uPVC sash windows are welded leaving a clear diagonal line on every meeting point. 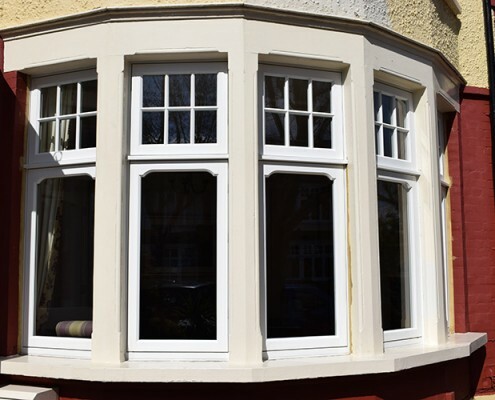 Regarding the sightlines or meeting points of the Ultimate range, the two sashes are up to 20mm thinner than the typical uPVC sash windows. 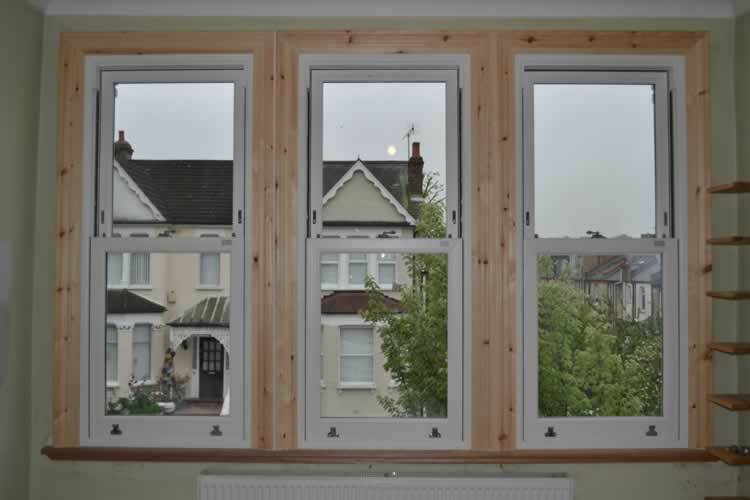 This, with the added timber grained finish, gives the impression of an authentic timber window. 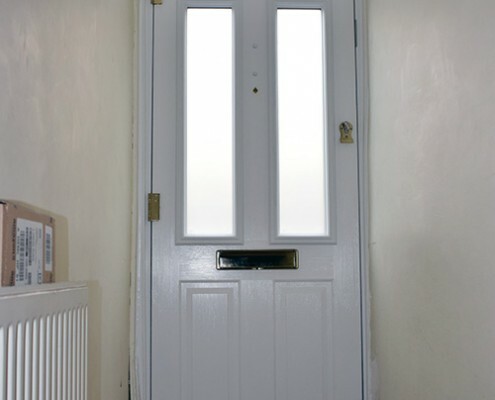 The front door was a Solidor composite door made using a high-grade weather resistant layer but formed with multiple timber cored layers giving strength, weight and added security. After the detailed quotation had been sent over, the order was agreed upon. 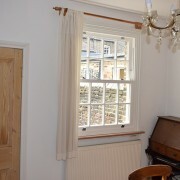 A stipulation due to the client’s absence was to email pictures of the finished windows upon paying the final balance. 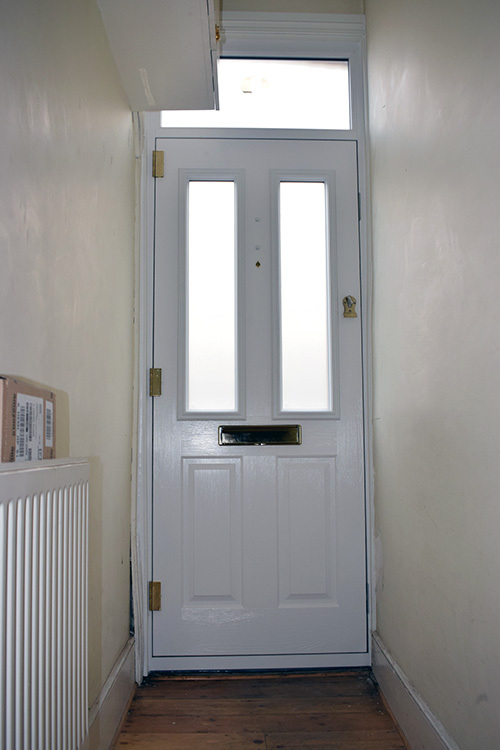 The colour and style of the front door was designed on Solidor’s online designer system. During the production process of three weeks, the order was booked in with the tenants to be carried out over a three-day period. As the above before and after pictures show, the property has had a complete facelift. The tenants and client were highly pleased with the quality of workmanship our installers provided during the installation. 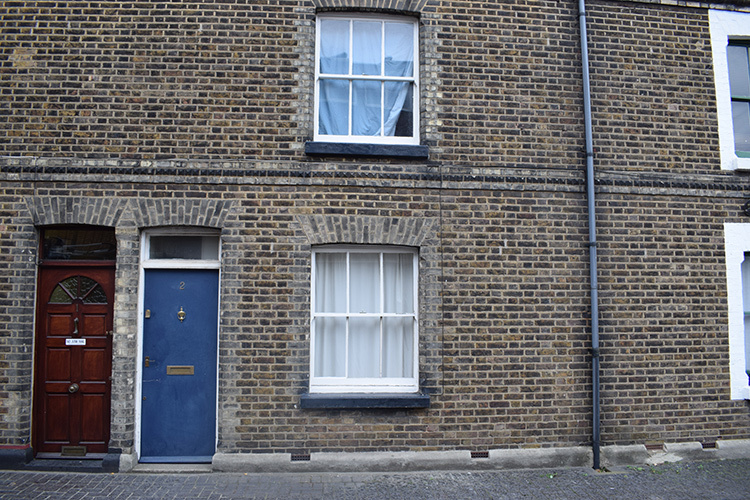 Our team were approached by a further two properties along the road, and we are now providing quotations. 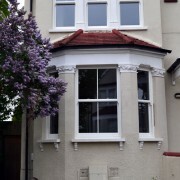 Enfield Windows would like to give you an insight into one of our most recent timber window installations in north London. 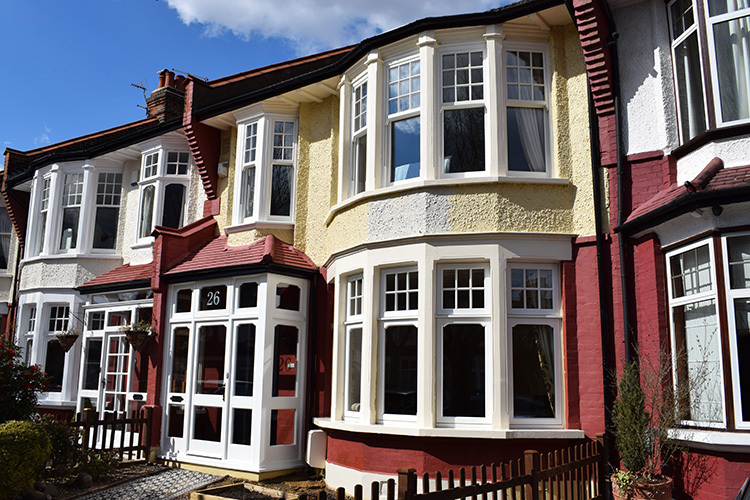 The installation took place in the Winchmore hill area. 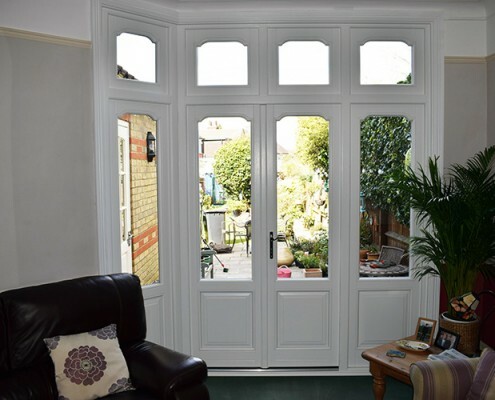 The first point of contact with the client was by a telephone call to our offices where we were invited to visit the customer’s home to provide a quotation for new windows and doors. 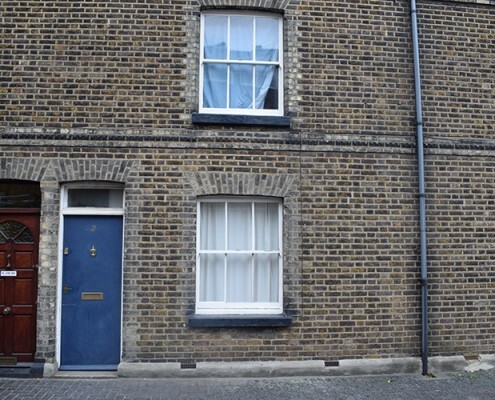 The sales adviser was booked to visit the property and go through the specific requirements, the whole house in need of new windows and doors. 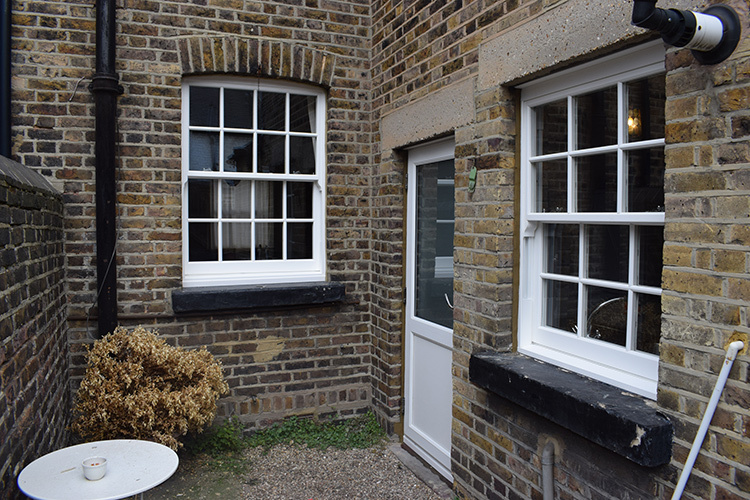 The client had opted for using a quality uPvc product for the upstairs windows and a replicated timber product for all of the downstairs. The timber products required had to be very specific. 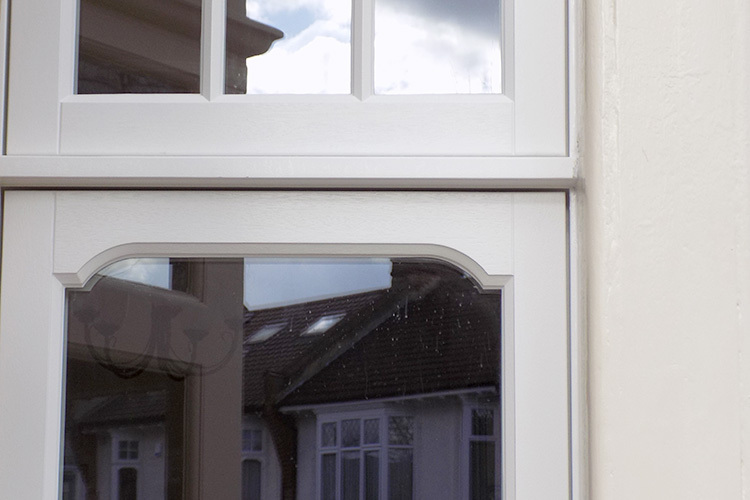 Within the area, most homes have a detailed stepped head in the window sashes that the client was very keen to replicate. 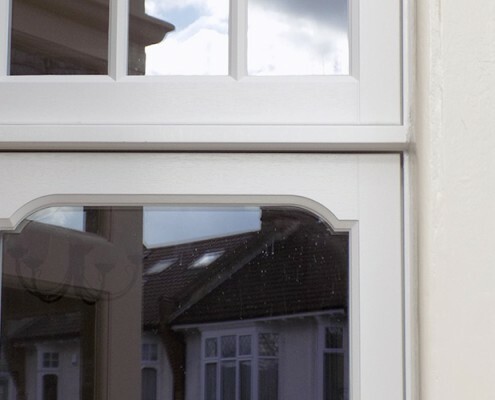 This is a detail that can only be reproduced in timber windows and doors. 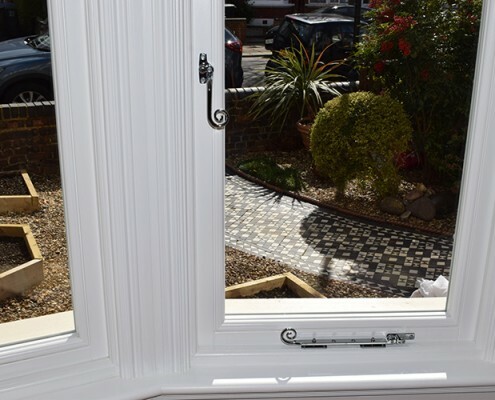 The sales advisor took the necessary measurements and detailed layouts whilst also explaining the benefits of our superior timber windows and doors. 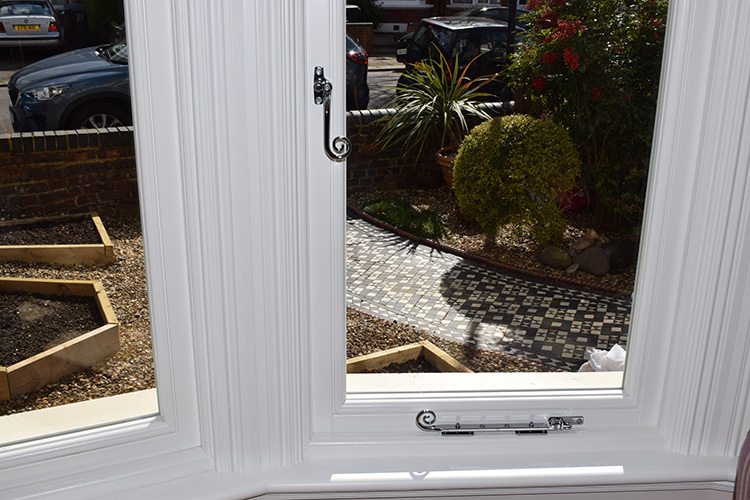 The advisor suggested that customer should visit the showroom to view our timber and uPvc products whilst we would prepare a written proposal detailing the specific requirements that had been discussed during the visit. The approach we choose is not to offer a quote on the spot unlike many other companies that would often read off a structured price lists. They generally have one goal when being invited to your home, which is the hard sell with the aim to sign you up on the day. 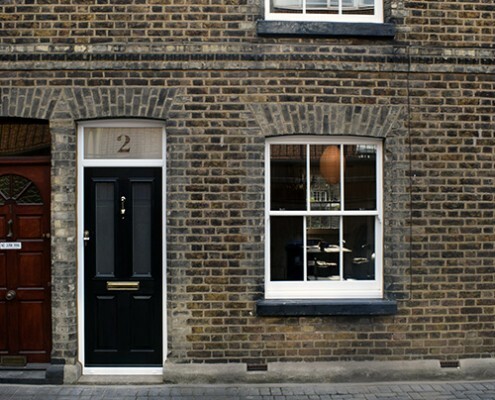 Our ethos is to offer a tailored service and advice on what would be better suited to the property as each home and client have different ideas and expectations about what they want to achieve. After the quotation was given and a visit was made to our showroom the client accepted our proposal and the ball was set rolling to provide CAD drawings and a detailed contract followed by a full site survey. 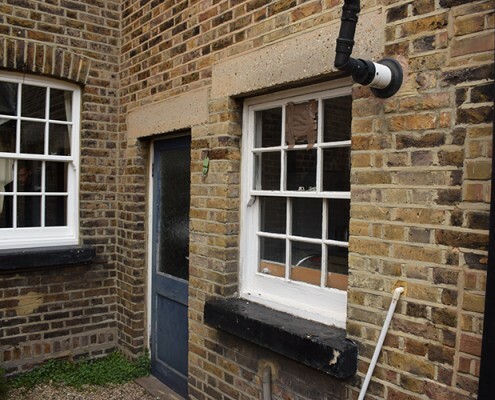 The survey was carried out by our experienced surveyor who took his time to go through the property ensuring all the necessary accurate measurements and configurations were taken ready for the order to be placed for manufacturing. 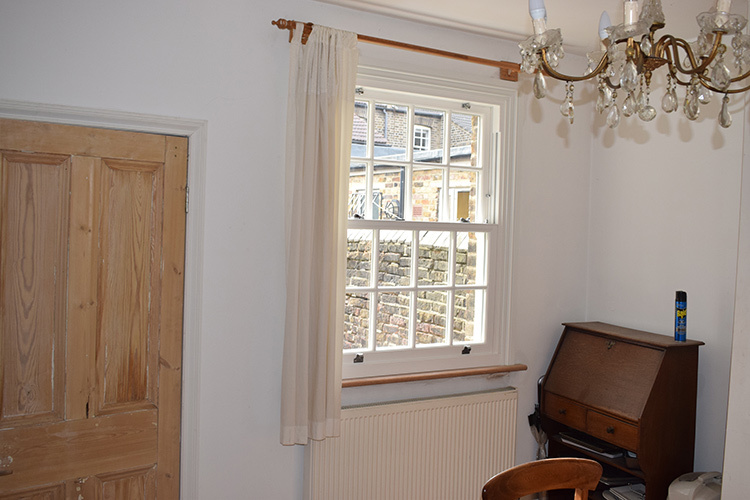 The installation was booked in along with the client choosing architraves, handles and furniture that they felt would be best suited to their home and taste. 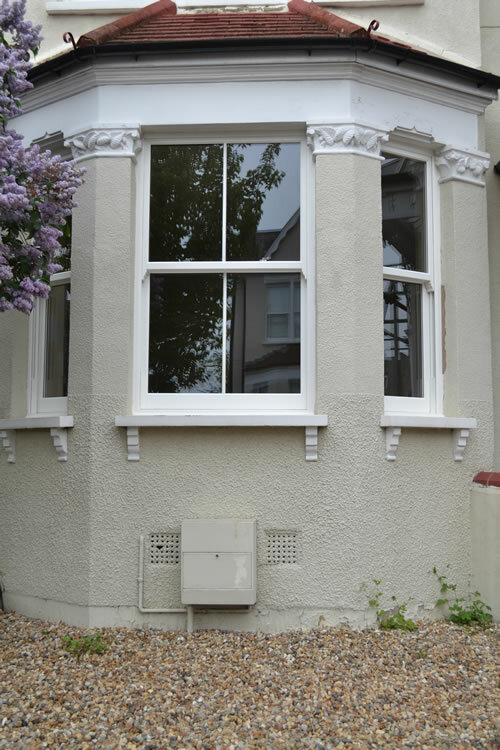 The windows were installed by our very own employed installation team who are highly skilled and very meticulous within their work. 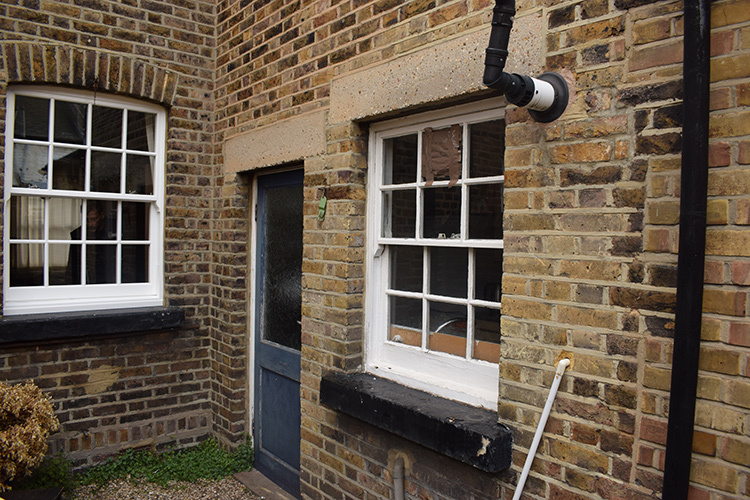 All the internal trims window boards and architraves used were factory finished leaving the customer with no re-decoration work. The final outcome is a stunning installation using the very best products and materials whilst still at a competitive price, the installation has led to recent enquiries and orders within the area. 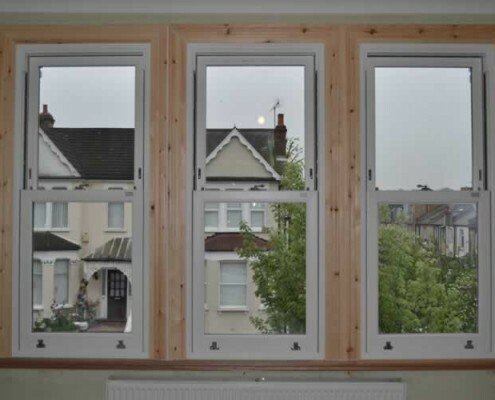 Why did the client choose Enfield windows? The feedback from the client was that the time and effort Nick had put into the proposal whilst not applying any pressure or sales tactics was key in giving the customer confidence that we were not just out for the sale. We were told that Adam and Greg, the installers, were a pleasure to have in their home and the attention to detail along with the product far surpassed their expectations. Local residents were so impressed with our installation, we have already received an order from a neighbour. 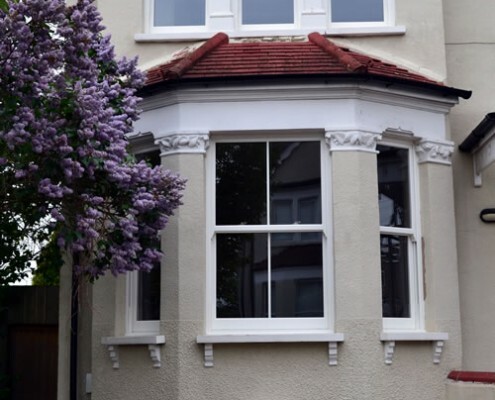 For further information on our timber and uPvc windows and doors either visit our showroom or call 0208 363 3233 for free no obligation quotation . 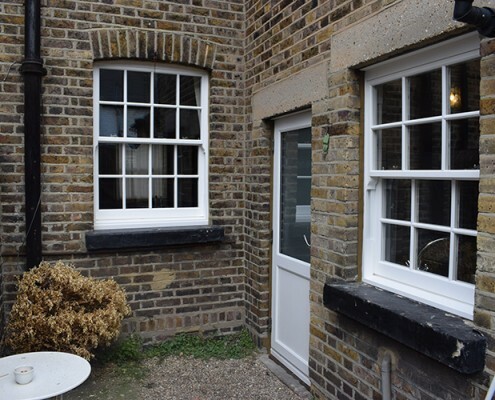 Enfield windows were invited to quote for the replacement of Upvc sash windows at the above property, the main objective given by the customer was to keep the character of the property intact while gaining all the advantages of having maintenance free UPVC sash windows. 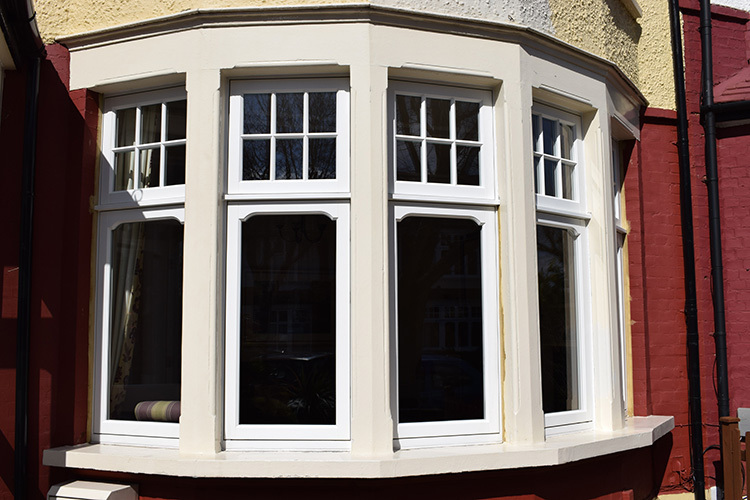 Our sash windows have the latest glazing specifications, are fully tested and A rated giving the best in thermal performance. Most importantly security as they offer police accredited locks and night catches for your peace of mind. 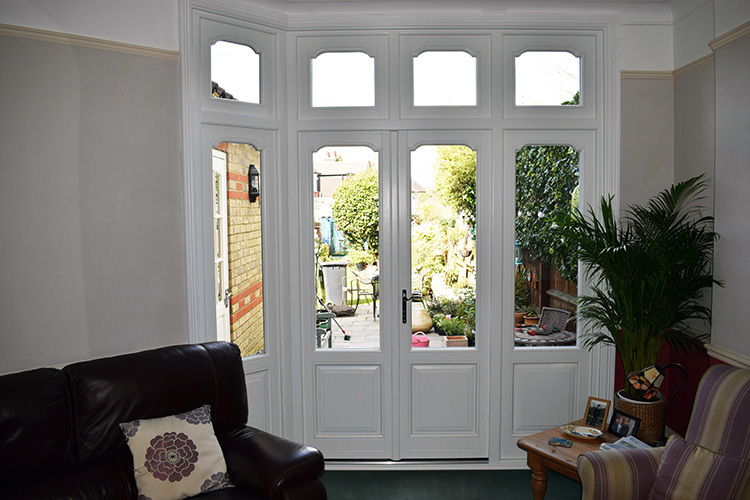 We offered the customer a product from The Masterframe range. 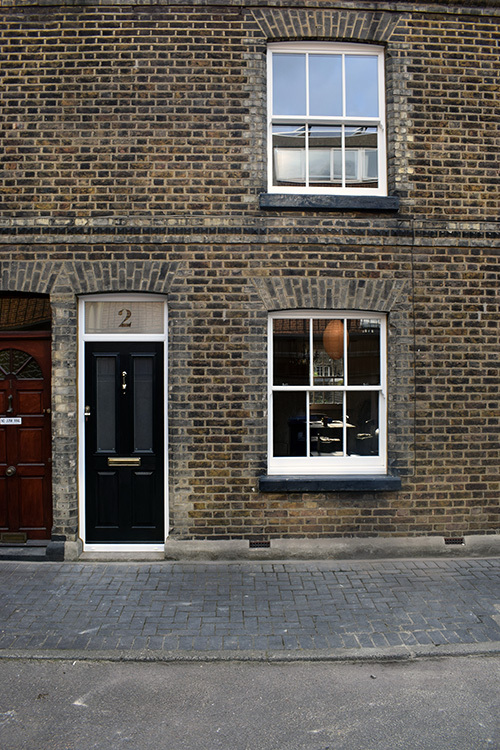 They are an industry leading manufacturer of replica UPVC sash windows, unlike many companies who offer sash windows as part of a broad range, the sole focus of Masterframe is on replica sash windows. 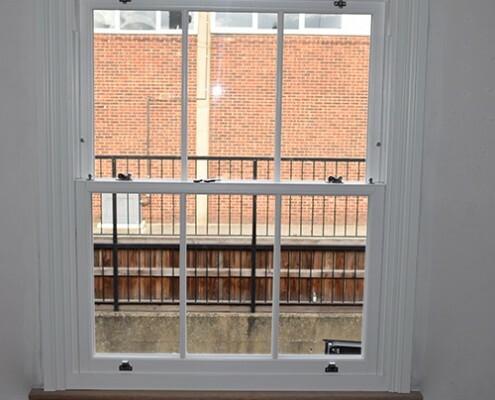 This is why their attention to detail far surpasses many replica sash windows on the market place today. After choosing to go for the white grain foiled option from the Authentic range with a timber architrave finish, the order was placed. 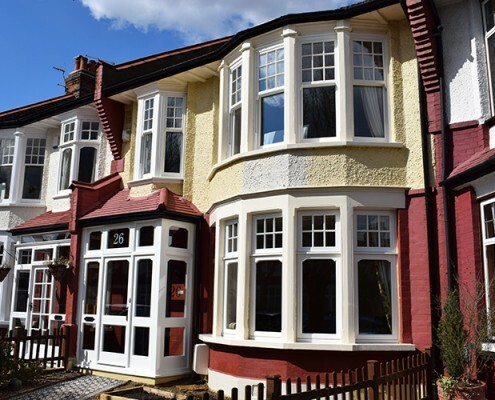 The installation was scheduled over 4 days during which time Enfield Windows replaced all 14 sash windows in the property to a high standard. 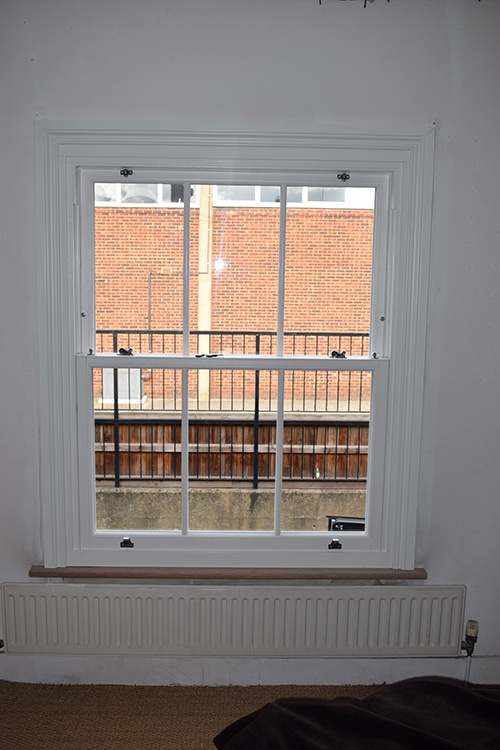 The finished result shows that you can in fact achieve all the gains and advantages that modern sash windows have to offer while not having to compromising the character and look of the property and in many cases adding value in price, warmth and security.